The company plans to launch the digital tokens, dubbed Link, this month. 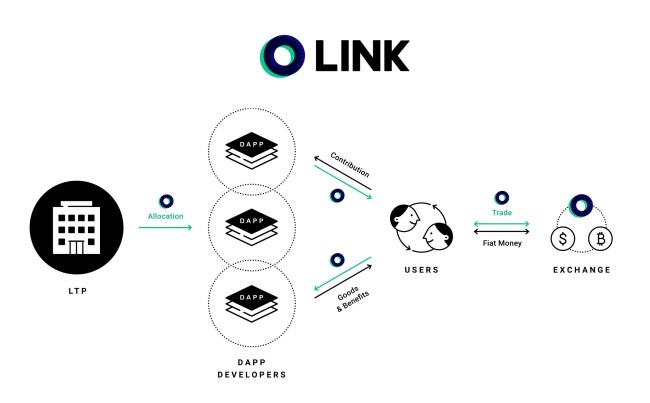 Link tokens will not be issued in the form of an initial coin offering but via a reward system that gives users Link in exchange for using and engaging in services within Line. The Link tokens will be listed exclusively on Bitbox, Line’s cryptocurrency exchange, where they can be exchanged for other digital assets. Link would be used to pay for content and services offered by Line, such as web comics, commerce and gaming. However, Link will not work as a currency in the US and Japan, due to a lack of regulatory approval. Users in Japan will instead be rewarded Link Points that can be used within Line’s service offerings. In addition to its own apps, Line is also looking to invite third-party developers into its blockchain network, Link Chain. It is a service-oriented blockchain network that enables decentralized apps to be applied directly to the Line messenger platform. Line plans to issue a total of 1 billion Link coins, of which 800 million will be allocated for user rewards, while 200 million will be managed by LINE Tech Plus, the issuer of Link, as a reserve stockpile. Line’s foray into token economies and blockchain networks is being followed by other players with a similar business model, namely Kakao, which operates Korea’s dominant mobile messenger KakaoTalk. Like Line, Kakao is building its own service-oriented blockchain network with aims to create a token economy operating within services owned by Kakao as well as outside dApps, hoping to build new, decentralized business models. Kakao’s blockchain subsidiary, GroundX, is hoping to launch by the year’s end an open blockchain protocol that offers increased scalability and speed -- which have been difficult to achieve on existing major blockchain networks like Ethereum. The Korean mobile giant is also hoping to attract Asian dApp developers interested in building new services running on Kakao’s blockchain network, and take aim at becoming a dominant stakeholder in Asia’s blockchain ecosystem, becoming a potential rival to Line.